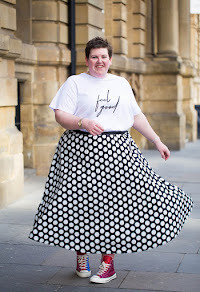 We all have those skirts in our wardrobe that we eye up for an eternity and when we finally take the plunge the purchase never makes an appearance. 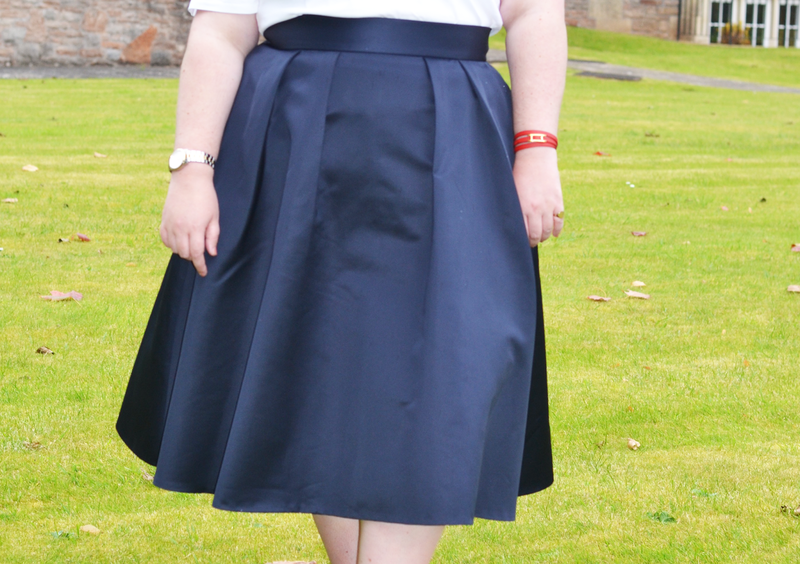 Well here it is that purchase, the Coast skirt that I would always walk pass and pray it would be make in plus size. 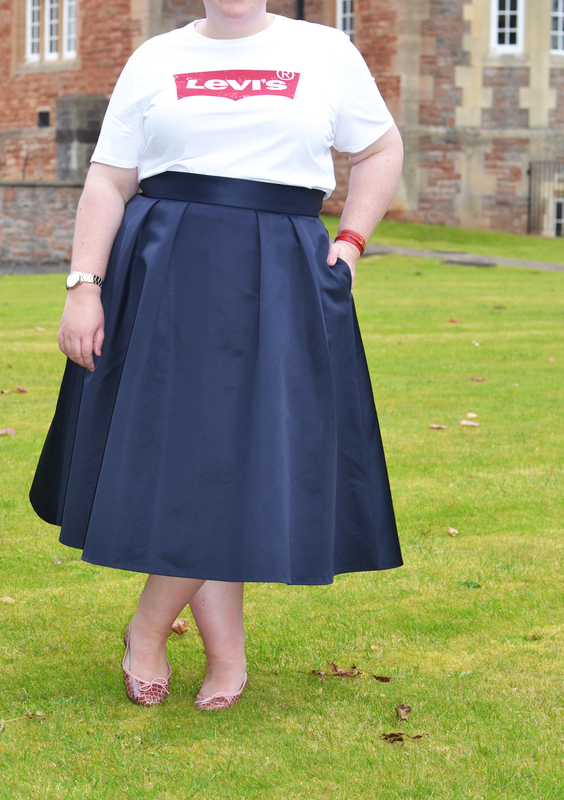 Finally my dreams came true this year when Coast released there first plus size collection, It took me lease than 15 minutes to purchase this amazing blue skirt. 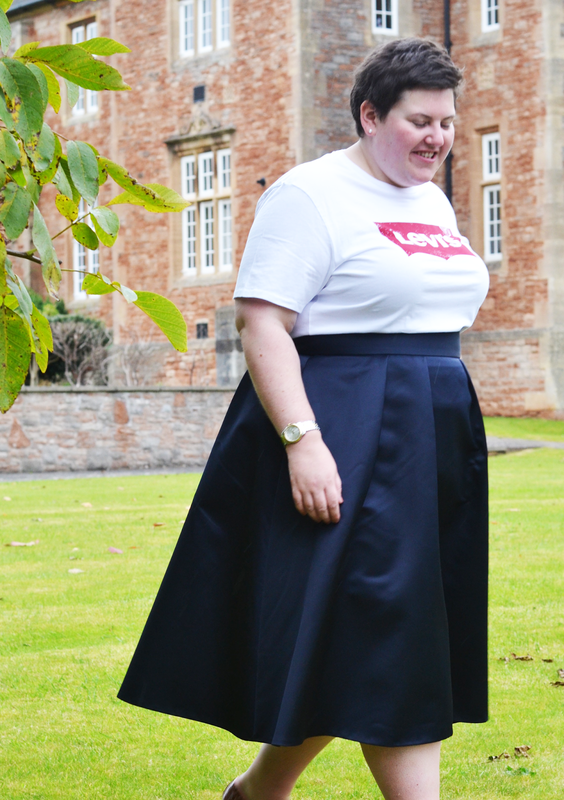 I had visions of being able to wear this for every weekend, but then the realisation of me never actually wearing it made me think about how I could make this skirt into something more wearable. 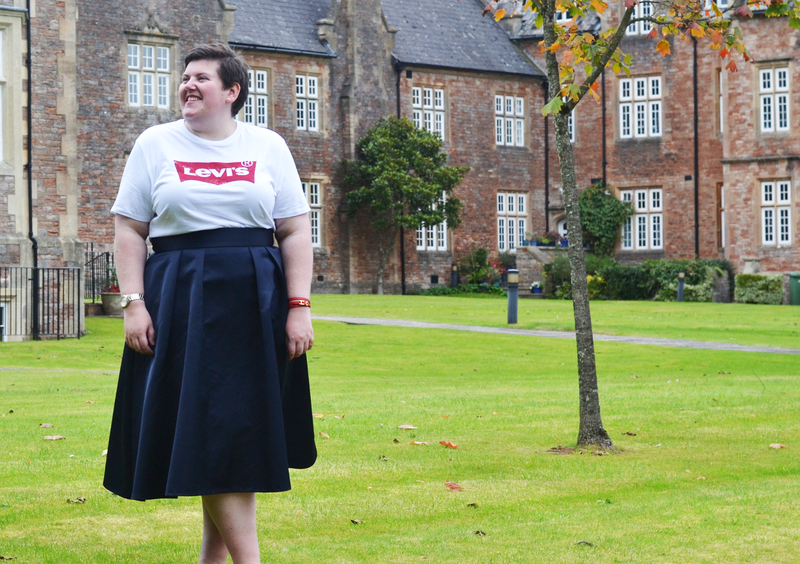 I've always been experimental in my outfit choices but when It came to wearing it to work or shopping made me really question my own self confidence. I thought it would be better kept for parties. After a few months of hesitation I finally made the plunge and wore it for a casual Saturday of shopping. 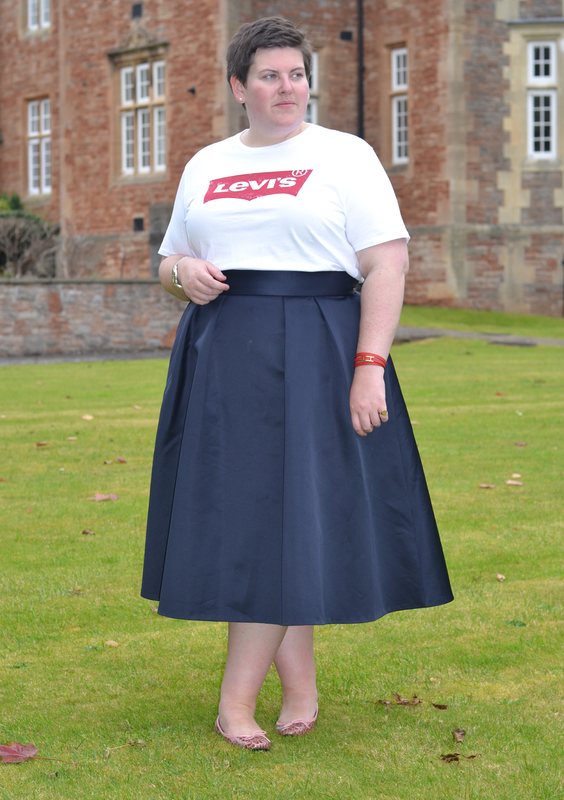 For a more casual look I chose to go with a T-shirts as that is the ultimate casual staple. 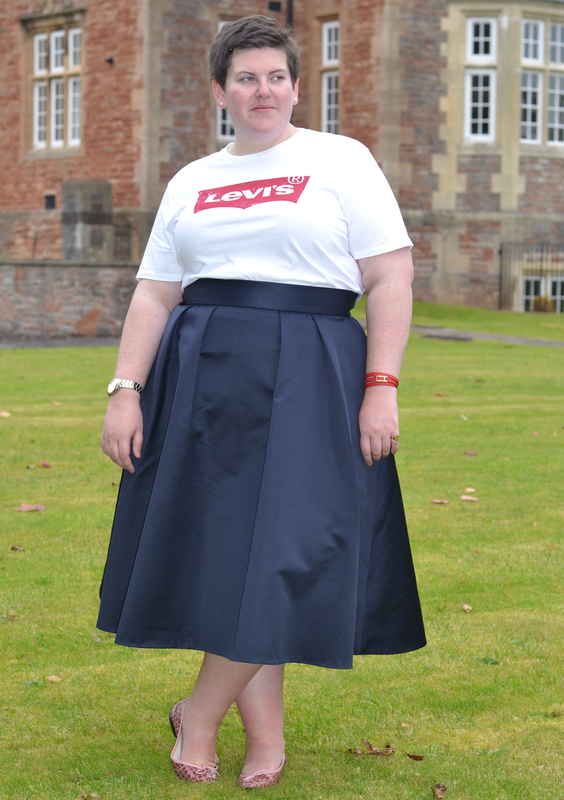 I went for my trusted Levis logo tee, the red logo also compliments my bracelet and for comfort I chose my trusted pink flats to compliment the rich blue of the skirt and contrast with the red of the tee. Thank you Coast I will be forever in your debt!